This short concave bob is a simple style that is well suited for longer face shapes and naturally straight hair. The long wispy bangs have been side swept to create a soft shape around the face and short layers have been cut around the top to give the crown as much height as possible. 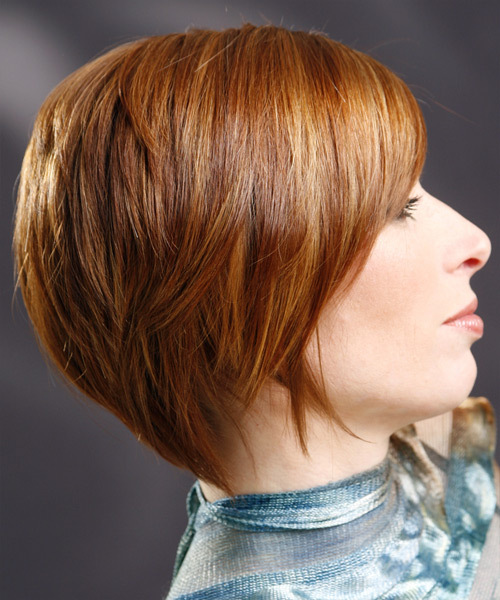 The Sides: have been cut longer to the front to give the bob a concave shape around the neck. The Back: has been layer cut and really tapered to the neck to give the front section all of the attention.